Apply Now for the 2017 WikiSeat Scholarship to receive free* WikiSeat Catalysts for your public school’s classroom! 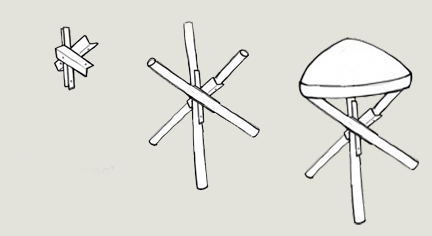 The WikiSeat Catalyst is the structural support at the heart of every WikiSeat. The 2017 WikiSeat scholarship will awards a total of 100 WikiSeat Catalysts to between 5 and 10 classrooms or public libraries. Fill out the 2017 WikiSeat Scholarship Application to let us know a little about you, your school, and how you will use WikiSeat in your classroom. There is a plan to start and finish the project sooner rather than later. Applications are due by October 1, 2017. Scholarship recipients will receive their WikiSeat Catalysts by the end of that month.